Rediscovering the Eternal Truth through Self Awakening. A Hindu swami to talk. A Hindu temple for the background. A crowded hall of Hindus audience, and the subject for discussion: "Let us be Hindus." Strange! It sounds like a ridiculous paradox and a meaningless contradiction. I can very well see that you are surprised at the audacity of this sadhu. It has become a new fashion with the educated Hindu to turn up his nose and sneer in contempt at the very mention of his religion in any discussion. Personally I too belong in my sympathies to these critics of our religion. But when this thoughtless team begins to declare we would benefit ourselves socially and nationally by running away from our sacred religion, I pause to reconsider my own stand. At the present state of moral, ethical, and cultural degradation in our country, to totally dispose of religion would be making our dash to ruin the quicker. However decadent our religion may be, it is far better than having none at all. My proposal is that the wise thing would be for us to try and bring about a renaissance of Hinduism so that under its greatness-proved through many centuries-we may come to grow in to the very heights of culture and civilization that was our in the historical past. No doubt, in India Hinduism has come to mean nothing more than bundle of sacred superstitions, or a certain way of dressing, cooking, eating, talking and so on. Our gods have fallen to the mortal level of administration officers at whose alters the faithful Hindu might pray and get special permits of the things he desires; that is, if he pays the required fee to the priest! This degradation is not the product of any accidental and sudden historical upheaval. For two hundred years Hinduism has remained an encouragement of the rich. Once upon a time, the learned philosophers were rightly the advisers of the state. But then the quality of the adviser-class [Brahmana] and the ruler-class [Kshatriya] deteriorated. By slowly putrefying themselves in the leprous warmth of luxury and power, they have taken us to the regrettable stage in which we find ourselves now. The general cry of the educated class is really against this un-religion. However, it is only the thoughtless, uninformed leaders who call this Hinduism. Certainly, if Hinduism can breed for us only heartless lalas [shopkeepers], corrupt babus [clerks], cowardly men, loveless masters, faithless servants; if Hinduism can give us only a state of social living in which each man is put against his brother; if Hinduism can give us only starvation, nakedness, and destitution; if Hinduism can encourage us only to plunder, to loot, and to steal; if Hinduism can preach to us only intolerance, fanaticism, hardheartedness, and cruelty; then I too cry, "Down, Down"; with that Hinduism. And yet the above is a realistic picture of the sad condition and plight into which the Hindu people as a nation have allowed themselves to fall. This is the tragic picture of the great Hindu disaster in present-day India. But Hinduism is not this external show that we have learned to parade about in our daily life. Hinduism is a science of perfection. There is in it an answer to every individual, social, national, or international problem. But unfortunately the religion, which we have come to follow blindly, is not the grand true Hinduism. It is only the treacherous scheme thrust upon us sometime in the past by the selfish, arrogant; power mad priest caste whose intention was to make us slaves of their plans and our own passions. The present day Hindu ignoramuses prove the tragic success of these religious saboteurs. With their guidance we overlook the fundamental tenets in sacred scriptures that are the very backbone of Hinduism. True Hinduism is the Sanatana Dharma [Eternal Truth] of the Upanishads. The Upanishads declare in unmistakable terms that in reality, man-at the peak of his achievement- is God himself. He is advised to live his day to day experiences in life in such a systematic and scientific way that, hour by hour, consciously cleansing himself of all the encrustation of imperfections that have gathered to conceal the beauty and divinity of the true eternal personality in him. The methods by which an individual can consciously purify and evolve by his self-effort to regain the status of his True Nature are the content of Hinduism. Hinduism in its vast amphitheater has preserved and worshiped, under the camouflage of the heavy descriptions contained in the Puranas, shastras [scriptures], and their commentaries of thousand different interpretations. This overgrowth has so effectively come to conceal that real beauty and grandeur of the tiny Temple of Truth that today the college-educated illiterates, in their ignorance of the language and style of the ancient Sanskrit writers, miss the Temple amidst its own festoons! To inquire into the very textbooks of our religion with a view to knowing what Hinduism has to teach, and how its message can be used to save us as we face the problems of our daily lives, is the aim of the One hundred days’ Upanishad Gnana Yagna, which is now proposed to commence on December 31, 1951, here in Poona. Religion becomes dead and ineffectual if the seekers are not ready to live its ideals. For that matter, is there any philosophy – political, social, or cultural – which can take us to its promised land of success, without our following its principles in our day – to – day living? However great our culture might have been in the past, that dead glory, reported in the pages of history books, is not going to help us in our present trials. If the barbarous cavemen of the unexplored jungles want to become as civilized as the men of modern nations, they cannot achieve this total revolution through mere discourses, or even through an exhaustive study of the literature describing the ways of the modern civilized nations. They will have to know and then live the civilized values of life. A mere knowing of it will not help them. They can claim the blessings of their knowledge only if they are ready to live what they know. In order to live as civilized men, they will have to renounce completely their ways of uncivilized thinking and acting. In fact, without renunciation no progress is ever possible. We must renounce the thrills of our childhood games in order to grow to be young men of noble actions. Again, unless we renounce our youthful spirit, we cannot come to the reverence of old age. Unless we are ready to renounce the low animal values of material life and replace them with the noble values of the truly religious life, we cannot hope to gain the blessings of religion. A study of a cookbook, however thorough it might be, will not satisfy our hunger. No matter how long we meditate upon and repeat the name of the medicine, we cannot get the cure we need until we actually take the medicine. Similarly, the blessings of religion can be ours only when we are ready to live the recommended values. To condemn unpracticed religion is as meaningless as those cavemen sitting around their open fire, and querulously decrying advanced civilization. During these one hundred days of the Upanishad Gnana Yagna, we shall be trying to discover the Eternal Happiness and Bliss that is the succulent essence of all true religions. In light of the principles of Truth declared in the Upanishads, we shall be trying to get at the scientific significance of the various practices that are considered part of our religion. In a spirit of communal living for these one hundred days we shall come to discover the science of perfection, the true essence of Hinduism. Let us know what Hinduism is! Let us take an honest oath for ourselves, not only for our own sake, but for the sake of the entire world:, that we shall, when once we are convinced of the validity of the Eternal Truth, try honestly to live as consistently as possible the values advocated by this ancient and sacred religion. Let us be Hindus, and thus build up a true Hindustan (Home of the Hindus) peopled with thousands of Shankaras, hundreds of Buddhas, and dozens of Vivekanandas! To realize our full spiritual Nature is to experience the fullness of life. As long as we have not attained this state of being, our intellect will continue to suggest methods for overcoming feelings of imperfection, which manifest as desires. Desires are nothing but an expression of the ignorance of our real Nature. This ignorance has made us identify with body, mind and intellect, and is the cause of our egocentric life of pains and limitations. Therefore, there is no achievement more sacred and glorious than the realization of our true identity with the unlimited, eternal Self. The purpose of Religion is to eliminate ignorance through spiritual practices until the devotee comes to gain the light of wisdom. Ignorance, manifesting as desires on the mental plane, extend themselves as actions in the world. Therefore, spiritual masters advise that the most practical way of overcoming ignorance is through controlling our actions. They suggest that we first purify, and regulate these actions. All religions advocate qualities such as goodness, kindness, tolerance, mercy and selflessness. They insist on moral and ethical perfection as the fundamental condition for spiritual evolution. Without these qualities we will end up far short of the goal, even after a lifetime of devotion and worship. Let us try to understand the scope of these moral and ethical values as explained in Hinduism. The three corner stones upon which the temple of Hinduism has been built are self-control, non-injury and truthfulness. The vast amount of spiritual literature in India is nothing but annotations, amplifications and commentaries upon these three principles. Ancient Indians planned their individual, communal and national life upon these three fundamental duties. The physical body longs for contact with the world of objects in order to gain sense gratification. The eyes wish to see beautiful forms and colors, the tongue craves good food, the nose likes to smell pleasant fragrances and so on. But when we continue to live only for the gratification of our sensual demands, passions multiply and ultimately consume us. To avoid such a condition, discipline (brahmacharya) at the physical level is prescribed. The meaning of the word brahmacharya has been so badly distorted that the real value of this discipline has been lost. Brahmacharya is an attitude of intelligent contact with the world. It does not mean a total denial of the sense enjoyments, but only insists on not overdoing anything. Thus to read, watch television, talk, or walk too much, or to eat a morsel more than necessary would be considered as breaking the vow of brahmacharya. When we live in self-control we discover in ourselves a renewed dynamism, and become pillars of strength in society. If this sacred doctrine is not followed, we abdicate our freedom and become slaves to the everchanging circumstances of life. Thus, brahmacharya is a value to be lived at the physical level. The second discipline, prescribed for the mental level, is non-injury (ahimsa). Ahimsa does not simply mean non-killing or non-injury at the physical level. It is to be understood as a mental attitude regarding our relationship with others. Non-injury is the spirit that should dominate the realm of our motives. Sometimes it is necessary that our actions be cruel although the underlying motive is totally loving and kind. Shakespeare beautifully expressed this idea in Hamlet, “I am cruel only to be kind.” For example, a surgeon may outwardly appear to be cruel while performing an operation but is motive is honorable. Such actions, though causing physical pain, would be considered as ahimsa. Non-injury is not a passive ineffectual attitude. Restraining the wicked to protect the good is the very creed of every true Hindu. Thus, non-injury as advised by the architects of the Hindu culture is a value of life to be applied at the level of our motives. Our motives should be blessed and pure without any cruelty or hatred. In the execution of a pure motive, we may have to weed out the thorny shrubs to make the garden beautiful again. Thus, truthfulness enjoins us to live according to our intellectual convictions. We all have ideals, but we often fall prey to our senses and compromise with them. This is dishonest living. Our dignity depends on our ability to live up to our convictions at all times. The edifice of life stands on these three great principles. By following them we can integrate our personality and gain inner health. It is by this method alone that we can enjoy living in the world and develop the strength and courage to overcome all our problems in life. When a person has learned to live in perfect self-control, ever vigilant to gather knowledge from life’s experiences, practicing non-injury in his motives, and being truthful to his convictions, he becomes the chosen child of nature to be lifted to the top of the evolutionary ladder. It is true, no doubt, that there are only a few in society who practice these great principles, but those few grow to such a stature that they lead the world with an irresistible spiritual power. It is these people of heroic personality, with integrated head and heart who will continue to guide humanity to new levels of spiritual evolution. 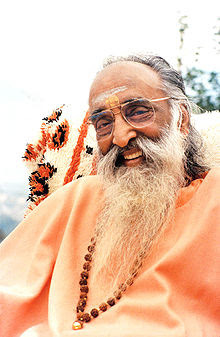 An article with the above subject written by Swamy Chinmayananda which had appeared in Mar/April 1999 issue of Vedanta Vani. The article is about the hidden meanings of the different names that appear in the story of Valmiki Raamaayana . In Ayodhya, ( yudhdha means conflict, Ayodhya means where there is no conflict ) to the king Dasharatha ( = one who has conquered all the ten indriyaas ) was born the Supreme Lord, Sri Raama (= 'That One' who is revelling in every form - ' sarve ramanti yasmin iti Raamaah ' ) as a baby. Rama gets married to Sita. Janaka is her father. Janaka found her while ploughing the mother earth,............, most improbable place to come out from. Ultimately, she goes back to mother earth. So here is someone who came from no-cause and goes back to no-cause, and this is called, in vedaanta, as ' Maaya '. Rama, gets wedded to Maaya........... Once ' Self ' gets wedded to Maaya, the Ego, ' I ' can not remain in Ayodhya. Conflict must necessarily start. Thus he goes to jungle with Sita. Jungle means the forest of pluralities, conflicts, in which you and I live today. Her fall from Ayodhya to Lanka is the fall of man from greatness of divinity into the present condition of guilt, sorrow, agitation, worries and suffering. Thus you and I are Sita now in Lanka. What did she do there ? We must also go thro the same discipline. She refused to co-operate with materialism all around. When she says ' NO ' materialism can not touch her. She remained under Ashoka tree. Shoka is sorrow and Ashoka is sorrowless. Though there is sorrow in all our minds, we refuse to recognise it. There under the Ashoka tree she contemplated on Rama with a sense of total surrender, recognising and realising the terrible mistake that she made and remained there. When we thus remain contemplating on Rama, every seeker will get intimation from the Divine, Sri Rama, that ' I am coming '. Hanuman reaches her and gives her the Symbol. Her hope increases and she is confident that Rama is coming. She awaits the arrival of Rama. As Sita weeps for him, Rama also expresses sentimental emotions. Valmiki wants to communicate to us that when we cry for God, he responds. How will he go there ? He is in jungle. The only army he can have is monkeys'. We find so much of criticism in Western literature that monkeys can not make an army. But here it has to be monkeys. Human minds and thoughts are the only ally for the Lord , the spiritual Self, for I and you to reach that state. Monkeys and human minds have the same qualities of ' chanchalatwa ' and ' asthiratwa ' ( lack concentration and attention ). These monkeys can never be the ally of the Lord as long as they are ruled by Vali, the incorrigible lust. As long as our minds are ruled by lust we are not ready to do Ram's work. So Vali is to be destroyed and see who comes to the throne - Sugreeva. Greeva means the reins of horses. Sugreeva - the total self control ! Under Sugreeva the monkeys are available to do Ram's work and together they build the bridge - the bridge of contemplation to reach the realm of Ravana - the realm of pure materialism, to destroy the extrovertedness, destroy Ravana and take Sita to Rama. Sita, the ego, when comes face to face with Rama, the Self, the ego disappears. Just as ' the dreamer I ' disappears before ' the waker I ' . Sita thus disappears. It is Kapila muni who tells Rama that he can not go back to Ayodhya and bring about Rama Rajya without a queen. Hence the Kapila muni makes a delusory Sita with whom Rama returns to Ayodhya and rules for a short time. All men of Realisation, having realised the Truth, always come back to the world for a short time to serve as Saints, Prophets. We can not work in the world without an ego. But here, it is not a true ego, but an illusory ego. When he thus rules, Luva and Kusha are born. Similarly when a Jnani works in the world, a Bible or a Koran , a Gita or an Upanishad will necessarily emerge out of Him. Thus Raamayana, from Ayodhya to Lanka is the process of an individualised Ego , coming into the present state of misconception that I am a limited, individualised ego, and the return of Rama back to Ayodhya from Lanka is the man's piligrimage fulfilled in the Realised Self. There after they live in the world for a short time serving the mankind and then the story ends.